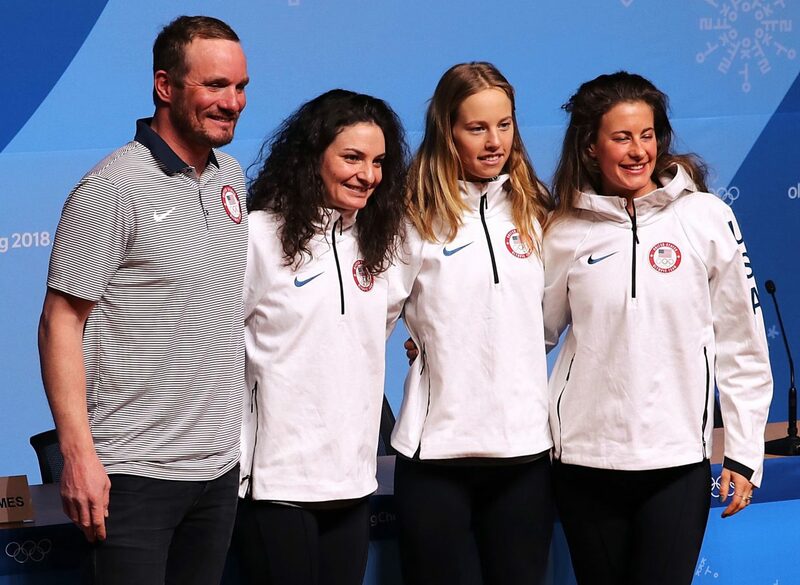 Megan McJames, second from left, poses with U.S. Olympic alpine skiing teammates Patricia Mangan, second from right, and Resi Stiegler, right, last week in Pyeongchang, South Korea. At left is their coach, Magnus Andersson. 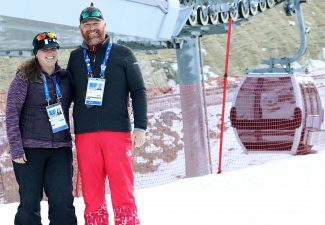 PYEONGCHANG, South Korea — Just making it to the start gate of the Olympics was something to be proud of for Park City skier Megan McJames. 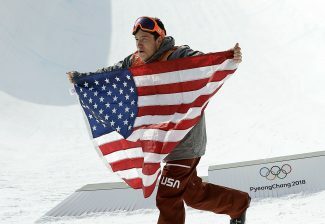 McJames, 30, skis independently, meaning she doesn’t have the support of the U.S. Ski Team. The team cut her in 2012. Since then, she’s been responsible for her own coaching, travel, ski tuning and training. Her budget is $50,000 a year, and she depends on fundraisers and sponsors to make it. McJames finished 31st, which was the second-best finish for an American, behind winner Mikaela Shiffrin. 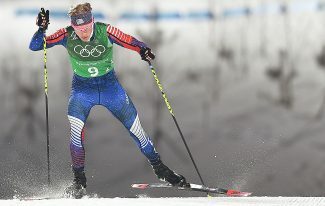 Among the other Americans, Resi Stiegler finished 36th, while Patricia Mangan did not finish the first run. Throughout the season, McJames travels with various coaches, and has gotten support from her boyfriend, Cody Marshall. Podium Ski Service in Park City preps her skis, but she tunes and waxes them herself when she’s on the road. It’s all like puzzle that McJames must solve. McJames learned to ski at Alta when she was 2 years old. 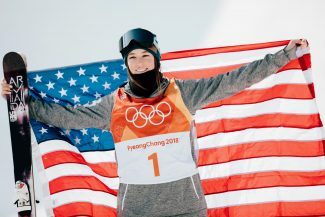 She grew up in Park City, where both of her parents were ski instructors, and skied for Park City Ski Team. She said the Park City community has been a key part of her fundraising efforts. She holds a fundraiser every fall, which contributed a good chunk of her needed yearly funds. Add in the donors from all over the country, and she has been able to pursue the dream independently for the last five years. “I have great family and friends and amazing group of donors and sponsors who believe in my story of perseverance and have gotten behind me,” she said. 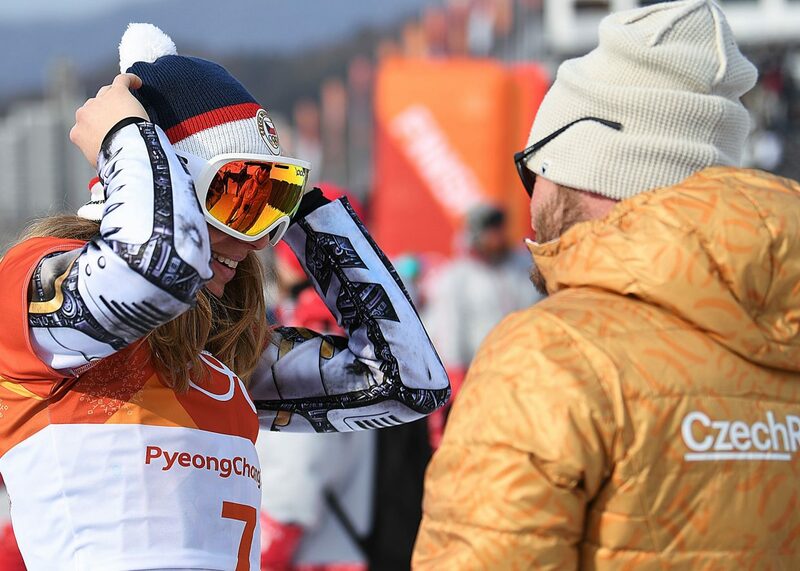 She will also compete in the slalom in the Pyeongchang Games.